Brown Forman has launched a website for Southern Comfort consumers to gain and share nightlife experiences with friends and encourage a responsible drinking message. The company said today (28 August) that it has teamed up with Maxim.com, Pandora and Drink of the Week to provide a curriculum for visitors to enrol in courses detailing how to enjoy nightlife events, drinks and activities. Users will be able to earn credits and music downloads through various forms of course interaction, SoCo will be giving away a total of 50,000 downloads, said the company. SoCo national brand director Ken Rose said: "The SoCo Night Institute allows the brand to interact with consumers about responsibility in an engaging, relevant format, while providing a forum for peers to learn about it from one another. It is part of SoCo's continuing efforts to remind friends to have a responsible night out together." 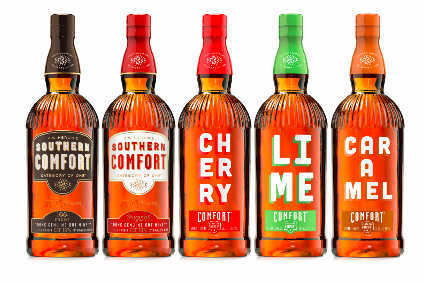 Maxim.com vice president of sales Steven Rosenblatt added: "We're excited to help Southern Comfort launch the SoCo Night Institute. Maxim.com knows the priority of the night and guys trust we won't let them down when it comes to having a great time with their friends."